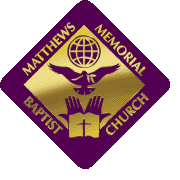 About Bishop C. Matthew Hudson, Jr.
Pastor Hudson prepared himself to do the work of an "evangelist." He holds an earned Doctor of Ministry degree in Church Leadership from the Bethel Theological Seminary, St. Paul, Minnesota, a Master of Divinity degree in Church History and Old Testament Studies from the Morehouse School of Religion, ITC, Atlanta Georgia, and a B.S. degree in Professional Aeronautics from Embry-Riddle Aeronautical University, Daytona Beach Florida. But more than all of that, Pastor Hudson is first and foremost a man of prayer and faith, and a true servant of the Lord. His greatest gift and attribute is his availability for God's love to be demonstrated through him as he enthusiastically spreads the "Good News" of Jesus Christ wherever he may be. God has blessed Pastor Hudson with a loving and supportive Christian wife, Shelley, and three lovely children, Charles III, Amber-Grace and Faith-Jordan.